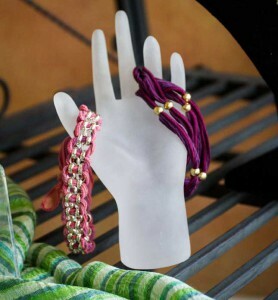 Learn how to display at the Gems Blog! Find product tips, display inspiration and more. Creating displays is a vital part of your business. You have quite a challenge set before you when making displays for your store; you want to create something that will complement your products and grab the attention of customers, but not be overwhelming (or boring). There is a fine balance between creating the type of display that will bring attention to your products and creating a display that will distract your customer from your products with too many colors or props. Follow these three simple tips for creating beautiful displays every time! 1. Know your customers. By knowing their likes and dislikes, you’ll be able to tailor your displays to things they will find attractive, and therefore be more likely to want. It also helps you with branding when you know what your customers are wanting. T-bars can be used for more than necklaces and bracelets! 2. Make your display fun! Create an eye-catching display with the use of colors that complement one another, fun props that are part of your display’s theme, and add texture and color with floral arrangements or tissue paper poms. 3. Don’t do too much. Your product should always be the focal point of your displays and everything you do with your display should be to complement your product, not distract your customer. Too many props or colors will draw the attention away from the product you want to sell, so keep your displays simple and effective. Accent T-bar displays by adding height with an acrylic riser. What things do you find the most helpful in creating an effective display? How Do You Choose A Showcase? A well-built showcase can optimize the effectiveness of your company’s displays. Many display cases that are being sold in today’s market are made from insufficient materials such as particle board and plastic, or are assemble-upon-arrival. Quality showcases have specific, apparent elements that show your customers you are dedicated to high quality in your store. What should you be looking for in a display case? We have three key things that we believe are most important when purchasing a display case. 1. A fully assembled showcase. Purchasing a fully assembled case might be slightly more expensive initially; however, there is no match for the quality found in a ready-to-install and fully assembled case. 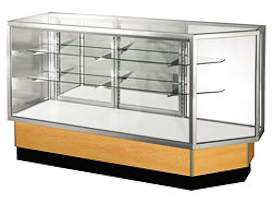 Many of the self-assemble cases that are on the market are made with materials that are unable to withstand the demands of an elegant, quality display case. 2. Tempered glass. A case with tempered glass has added strength for prolonged use. Unlike plastic, which can easily scratch or wear out, a glass case will add time to the lifespan of your showcase, while giving it a classic style that will fit your store’s image. 3. High quality design. A case with a built-to-last design, high quality materials, and workmanship is the type of case worth an investment. A showcase such as these full vision jewelry displays, is the type of display that your company can use to show customers your attention to detail and quality. With these essential components in a showcase, you will be able to find a showcase that retains value while fitting the needs of your store. The summer season is well underway and since these tend to be slightly slower months before some busy holiday seasons, this is an excellent time to be thinking about display ideas and branding. Let’s start by going over some gift packaging tips and ideas. Packaging is more than wrapping a product in tissue paper and placing it in a box or gift bag; it is a way to show your customers how you perceive their business and your store. You can show your customers that you think highly of your business by choosing colors and styles that complement your products. By carefully packaging purchases, you’re showing your customers that you care about their business even after the sale is made. Did you know that you can increase brand awareness with packaging? As we briefly mentioned, packaging can be used to further your store’s image by creating a gift packaging experience that will stay in the minds of your customers. This process can start with something simple, such as wrapping the purchased items in colored tissue paper and a matching bow. Beyond these basics, if you view packaging as part of your store’s image, you can utilize packaging to increase brand awareness and make it a brand building solution. A brand can’t be built with a box, but it can be built with a comprehensive program. What do we mean by a comprehensive packaging program for branding? Everything, of course! Every part of packaging can be used to build your brand, from jewelry boxes to bags to imprinting logos on boxes. Seize packaging as an opportunity further your brand’s reputation by recognizing that this is an imperative part of your store’s image. 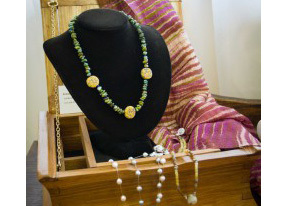 Some jewelry supply stores are able to assist you in building a packaging program for your specific company. Let your creativity abound this summer as you discover new ways to build your company’s image through packaging! Q: Every time I travel to shows, I feel like my products are falling out of my jewelry trays. Do you have lids or something to keep things in place? A: It can be so frustrating when your product gets moved around during travel, especially when you just want to get to your show and start selling. Our favorite way to keep products in place is to put a foam ring tray liner (#92-72E) on top of jewelry that has already been placed in its tray. Then, stack your next tray on top and repeat. 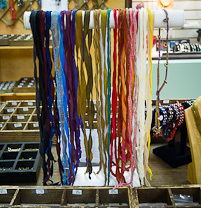 This will keep jewelry from sliding around during travel and give you more time to sell! Be part of the Gems on Display community and stay current on sales and new products!